outreach material via the web, social media and in person. 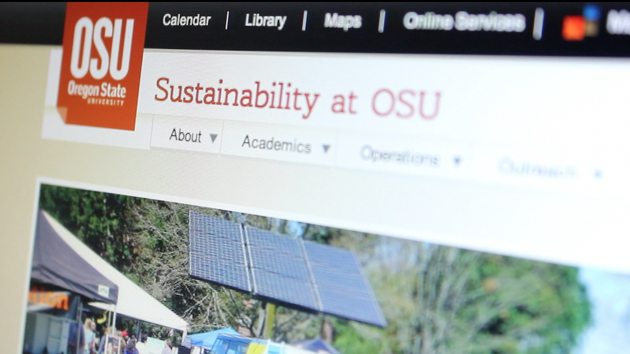 The OSU Sustainability Office seeks an outgoing, enthusiastic student to deliver marketing and outreach material via the web, social media and in person and support its staff in delivering various programs that promote behavior change. Major duties include web and social media content management, assisting with events and event planning and working with other OSU sustainability groups on outreach. Hourly pay is $9.50 with periodic wage reevaluation. The position will work 15-30 hours/week during summer and 10-20 hours/week during the academic year, depending on workload. Employment term begins May 2013 and is ongoing assuming satisfactory performance. Preference will be given to applicants with availability through at least spring 2014. This job is available for work-study and non-work-study students. Applications must be received by April 28, 2013. Click here to read the full position description.